I always thought I sucked at hula hooping. As a kid I would struggle to keep it going for more than a few seconds. 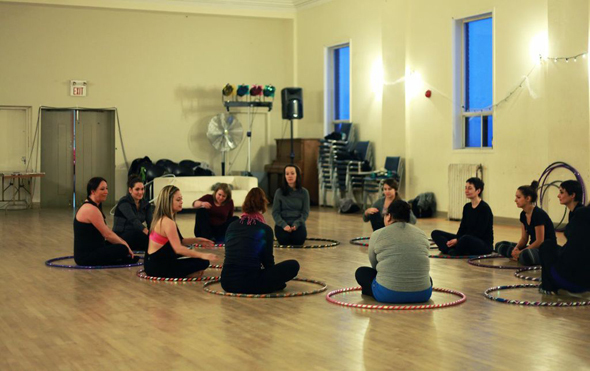 But the classes at Sugar Hoops are far from the hooping I remembered. I recently attended a beginner class where I immediately made a rookie mistake. 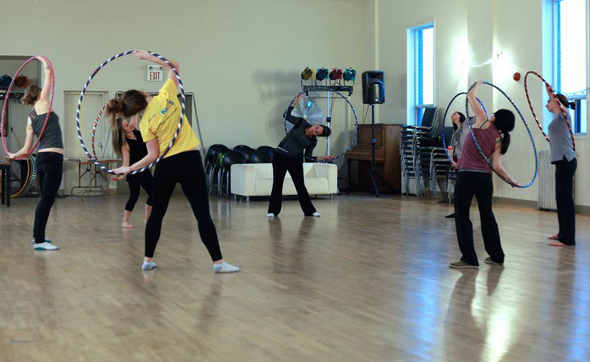 "Don't move your hips in a circle motion," said Mandy Harvey, owner and operator of Sugar Hoops. "Try moving them back and forth." And just with that, I got it. 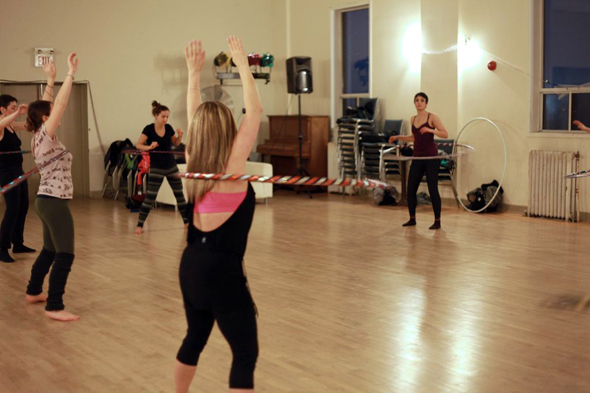 Sugar Hoops launched in January and offers classes with special hoops that are bigger and heavier. It's not only easier to keep up, but you can do tricks and dance around the room while hooping. Before I knew it, I was working up a sweat. "We like to call it 'exercise in disguise,'" said Harvey. "People come in for the workout, but then they realize it's actually a lot of fun." Harvey teaches classes out of Dovercourt House and Centre of Gravity Studio (Gerrard East location) every week. She offers different types of classes, ranging from silent and meditative to "jams" (which are like a circus dance party). Harvey said the interest in hooping has boomed in Toronto and is part of a worldwide trend. "It's popping up everywhere. There's so many people getting involved. It's incredible," she said. My class had 11 people who were all eager to be a part of the hooping community. Despite my sad hooping past, by the end of the class, I was good enough to keep the hoop up while moving around the room blind-folded. If you're curious to give it a spin, you can drop in for a class for $20. Writing by Amanda Cupido. Photos by Jessica Goebell.